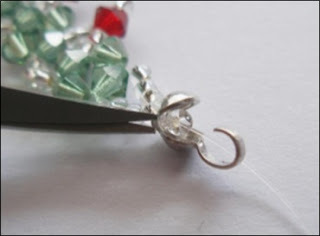 Here’s an early Christmas gift from Cecily Ng of darlovely – Sparkle Christmas Bracelet! 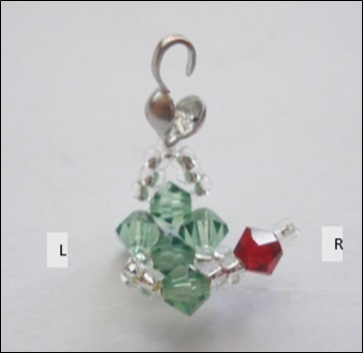 Cecliy started beading back in 2008. 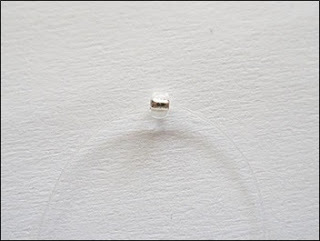 It was by chance she came across a ring pattern that she very much likes to possess. 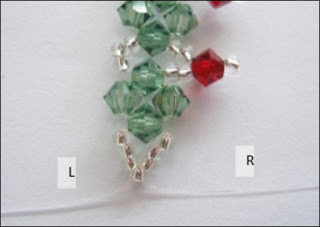 After trying making the ring, she fell deeply in love with the beading process. 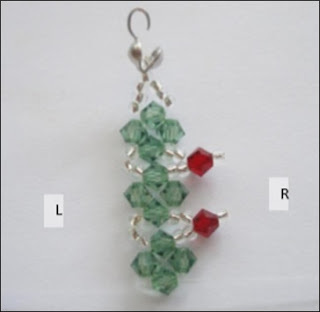 She then started with something simple and it wasn’t long before she started beading, not only for herself but for her family and friends, as well. And now, she’s sharing one of her tutorials for everyone! String 1 seed bead to the middle of the thread. 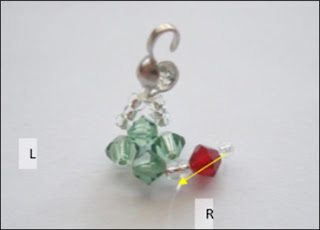 Holding both the left (L) and right (R) threads together, pass both threads through the hole of the bead tip. Pull tightly. 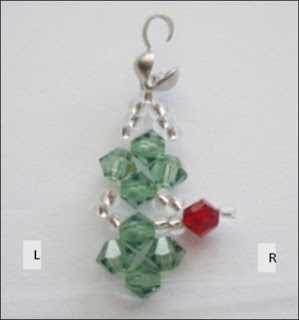 The seed bead will act as a stopper. 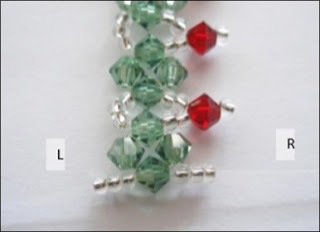 Holding both the left (L) and right (R) threads together, string 1 seed bead through both threads. Pull tightly. String 3 seed beads on the left thread (L). String 3 seed beads and 1 Erinite 4mm bicone on the right thread (R). 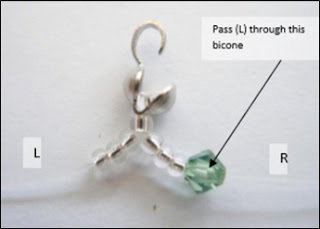 Pass the left thread (L) through the Erinite 4mm bicone on the right thread (R). 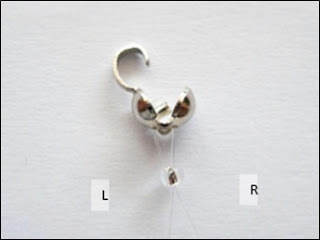 Pull tightly.Note: The left thread (L) will become right thread (R) and the right thread (R) will become left thread (L) every time they cross with each other. 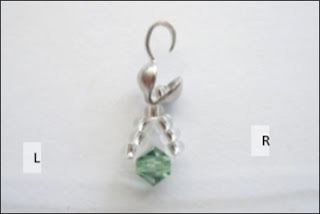 String 1 Erinite 4mm bicone on the left thread (L). String 2 Erinite 4mm bicone on the right thread (R). 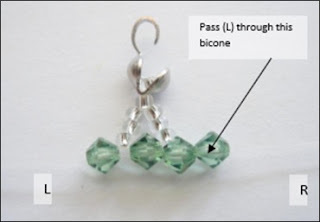 Pass the left thread (L) through the last Erinite 4mm bicone on the right thread (R). Pull tightly. String 2 seed beads, 1 Siam 4mm bicone and 1 seed bead on the right thread (R).Note: Blue arrow show the movements of the threads for the next step. 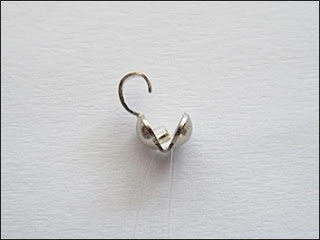 Pass the right thread (R) through the Siam 4mm bicone as shown in the picture. Pull tightly. String 3 seed beads on the left thread (L). String 2 seed beads and 1 Erinite 4mm bicone on the right thread (R). 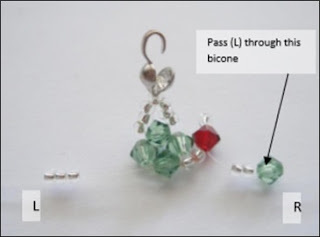 Pass the left thread (L) through the Erinite 4mm bicone on the right thread (R). Pull tightly. 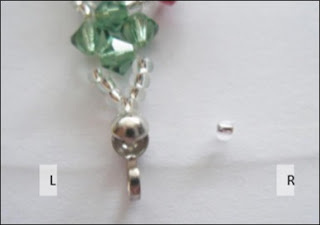 Pass the left thread (L) through the last Erinite 4mm bicone on the right thread (R). Pull tightly. 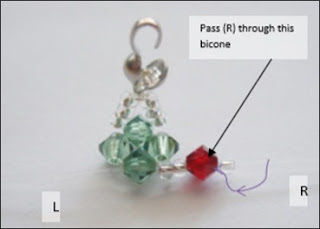 The 1st motif is formed.Note: you can reinforce whenever necessary by passing the threads through the bicone and seed beads for a few times. Repeat Steps 8 – 13 for the 2nd motif. Repeat Steps 8 – 13 till desired length. String 3 seed beads on the left thread (L). String 3 seed beads on the right thread (R). 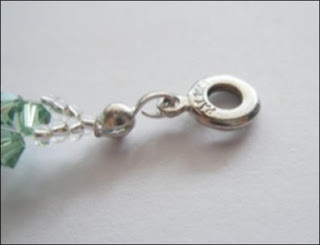 Holding both the left (L) and right (R) threads together, pass both threads through the hole in the bead tip. Pull tightly. String 1 seed bead on the right thread (R). 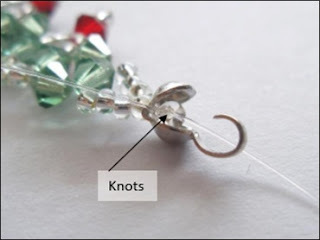 To finish, use the threads to tie a few knots tightly and hid it inside the bead tip. 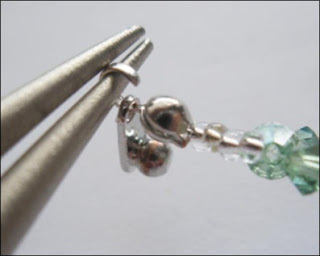 The seed bead will act as a stopper. 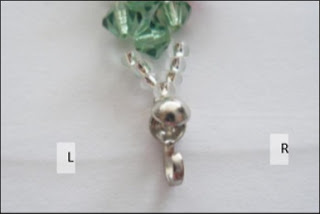 Drop a small amount of glue into the bead tip shell and the knots to secure the bracelet. Wait for 20 minutes for the glue to dry. Trim off the excess threads. 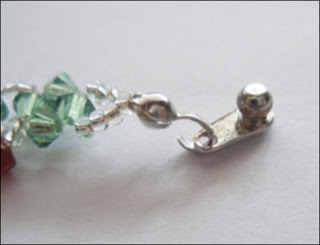 Insert 1 part of the button clasp to the hook attached to the bead tip. 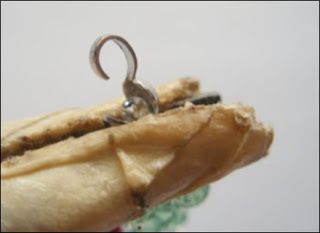 Use round nose pliers to close up the hook attached to the bead tip. 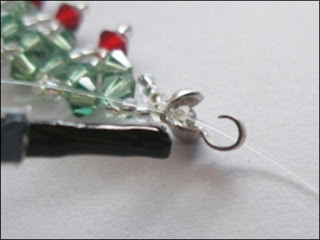 Repeat Steps 23, 24 and 25 for the other bead tip. Your Bracelet is completed. 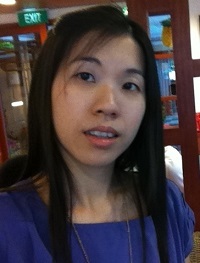 Congrats and enjoy! 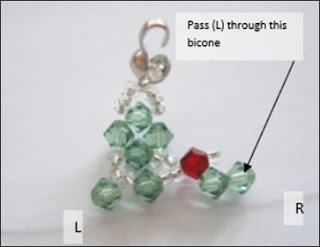 Access more beading tutorials from our Contributing Artist and DIY Jewelry Making Magazines! 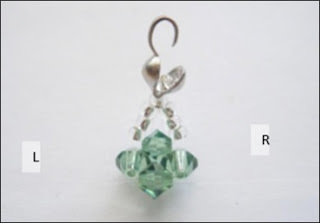 Join DIY Jewelry Making and SUBSCRIBE TO DIAMOND MEMBERSHIP!